With Christmas just around the corner, it can often be tricky to choose the perfect gift for a loved one. One of the most popular choices when it comes to jewellery is a pair of solitaire diamond earrings, due to their simple and classic design and wearability. Diamond bracelets are also a firm favourite because they too are easy to wear and are timeless pieces that never go out of fashion. In the Jewellery Auction on Sunday 4 November lot 37 is an impressive tennis bracelet set with round brilliant cut diamonds totalling approximately 7.30 carats overall. Sleek enough for every day wear, this can be worn alone or alongside a watch for maximum impact. Estimate £4000 - £5000. For something more subtle, lot 78 is a pair of solitaire diamond earrings, set with three claws to allow maximum sparkle for the diamonds of 0.70 carats each. Estimate £800 - £1200. Lot 96 is the perfect example of modern with a classic twist. Set with old cut diamonds totalling approximately 2.05 carats overall in a classic six claw setting, these are a one of a kind Christmas gift for that special person. Estimate £6000 - £8000. 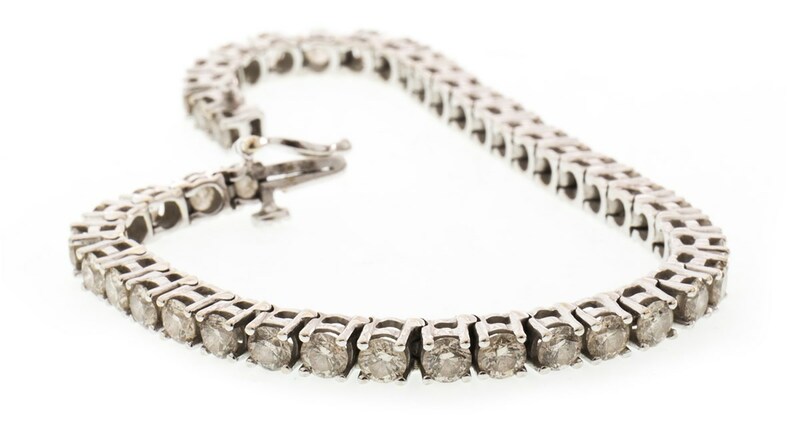 McTear’s sells more jewellery than any other Scottish auction house in the dedicated jewellery auctions that take place twice monthly, run concurrently live online on a platform that attracts six million visitors annually from over 120 countries worldwide. Come along to the Valuation Days at McTear’s on Tuesday, Wednesday and Thursdays for complimentary auction advice.